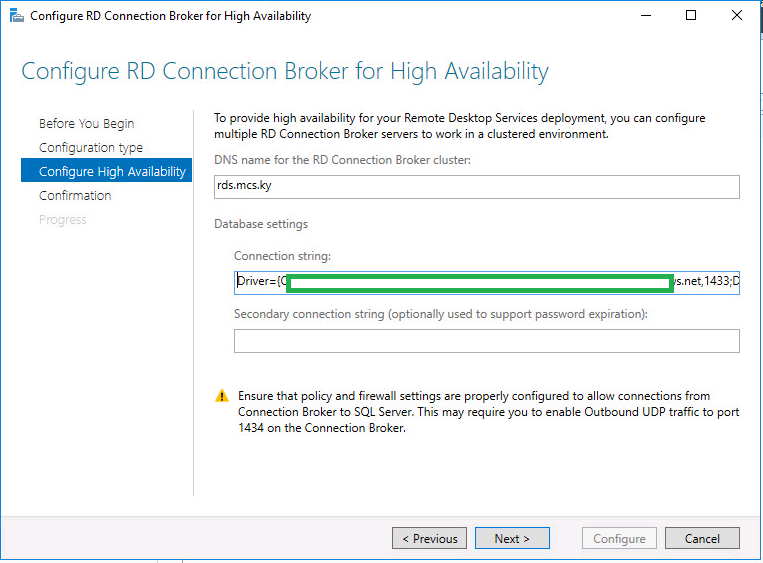 One of the most welcomed features in Windows Server 2016 when on the topic of Remote Desktop Services is the ability to store the RD Connection Broker state database in an Azure PaaS database instance. 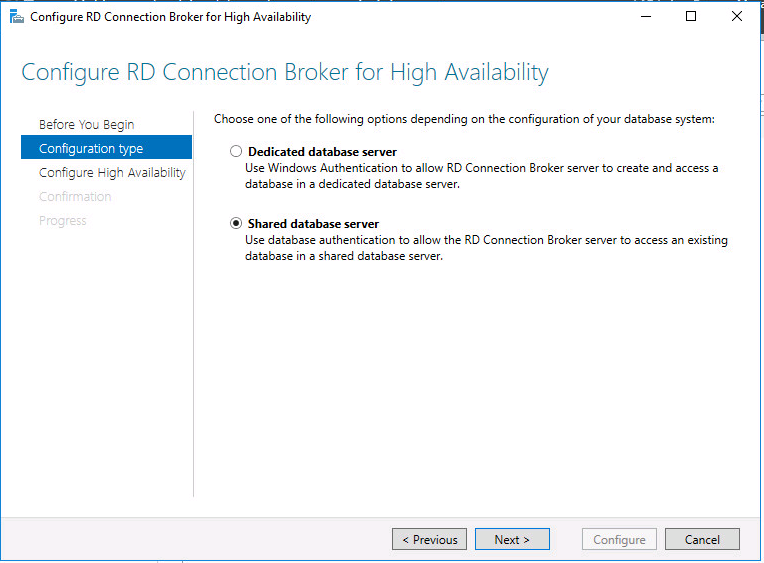 In previous versions of RDS, the only method to achieve high availability for the RD Connection Broker was to implement a shared SQL database using AlwaysOn Availability Groups or a similar HA technique inside SQL Server. Click here to download the .ps1 file which contains the source code. 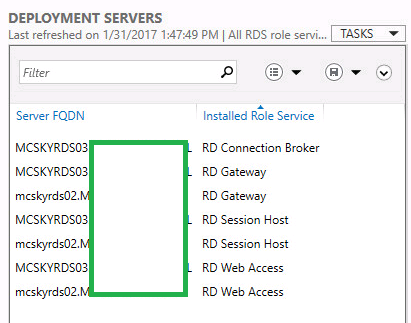 I used the portal to check that the resources had been created properly before I started configuring the Remote Desktop Connection Brokers. 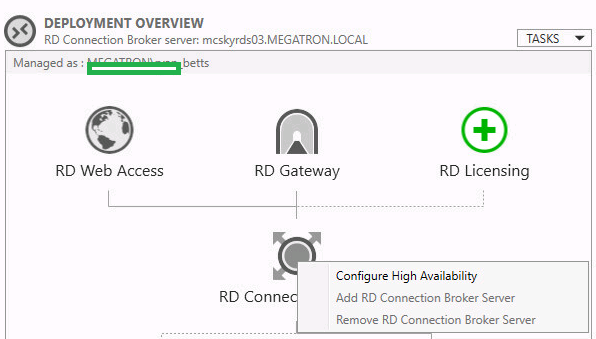 Now the Azure PaaS database has been created we can now configure our RD Connection Brokers to use it as the state database. 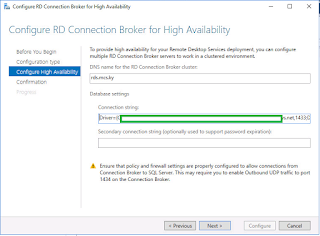 Although you must first create some firewall rules on the Azure side to allow communication to your cloud SQL instance. 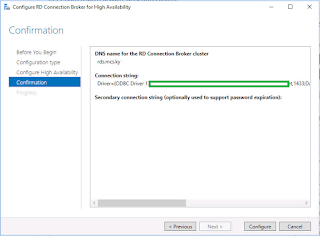 Click the Firewall tab enable Allow access to Azure services and click the Add client IP. Commit the changes by clicking Save. 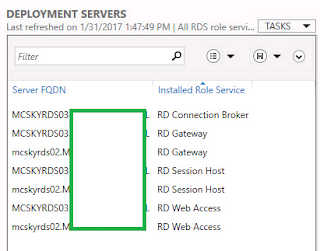 I have configured my deployment with two multi-role RDS servers, all the roles with the exception of the RD Connection Broker have already been made highly available. 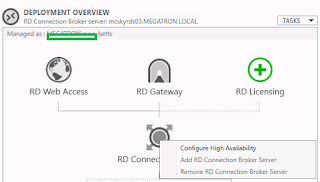 From the Deployment Overview page, right click on the RD Connection Broker and select Configure High Availability. Select Shared Database Server and click Next. From your Azure PaaS database click on the Show database connection strings option. 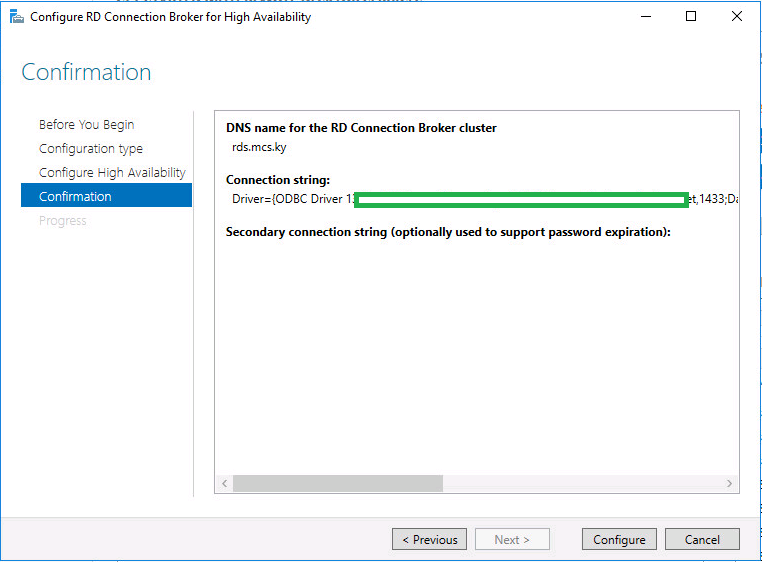 Click the ODBC (Including Node.js) tab and copy the entire connection string. 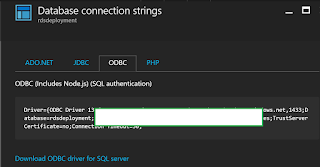 You must copy the entire connection string, but please remember to change the password field.